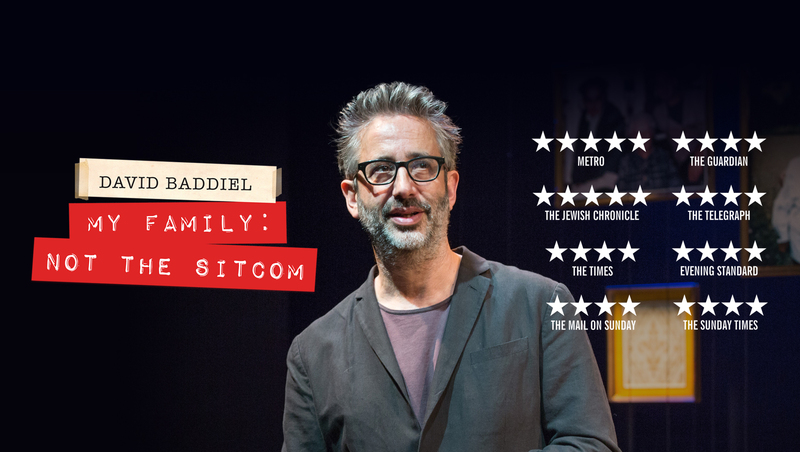 David Baddiel describes My Family: Not the Sitcom better than any critic could when he calls it “a twisted love-letter to my parents”. He talks about his deceased mother and his father, who has picks disease, with a candour that is breath taking. There was a bit right at the end of David Baddiel’s already richly acclaimed show, My Family: Not the Sitcom, where he seemed to choke up just a little. It’s hardly surprising, given that he’s treated the audience to around a 90-minute glimpse by this stage into some of his family’s deepest secrets, with touches of how they affected him personally. In that moment, though, there’s a real sense of a man who could be telling these stories for the first time, such is the depth of his emotional connection. Standing in front of a set made up of family photos, it’s hardly surprising, either. 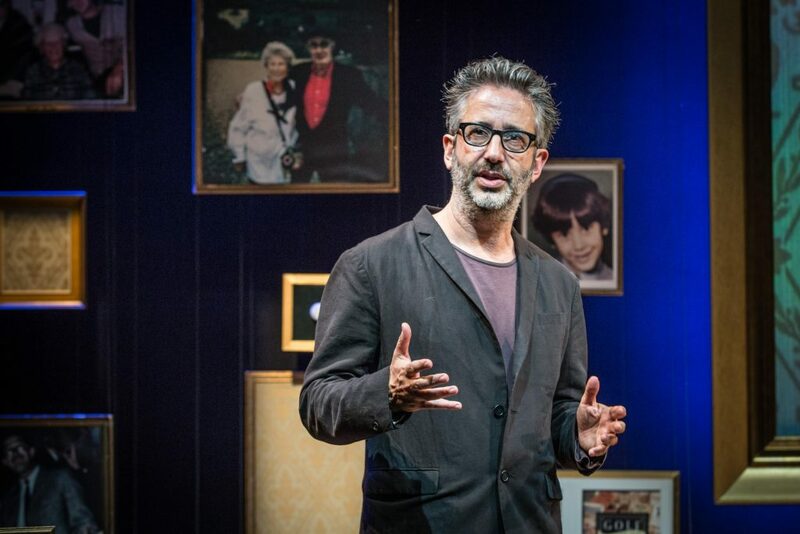 The show – a mix of storytelling, video clips and screenshots it is Baddiel’s response to the death of his mother primarily, but also the illness of his father. As he explains, compellingly, in the aftermath of his mother’s death, he didn’t want the nuances, the quirks, and the faults of her life to be whitewashed away. That he also found himself disagreeing with the well-wishers who insisted his mother was some kind of perfect person, and felt it wasn’t a fair representation of her life. 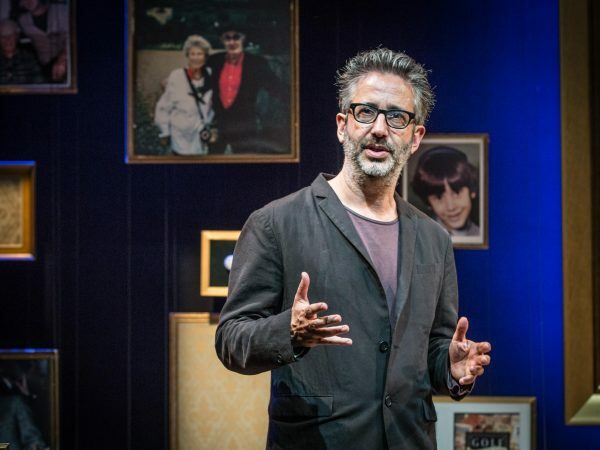 In the second half Baddiel turns the spotlight on his father, who has a form of frontal lobe dementia known as Pick’s disease. 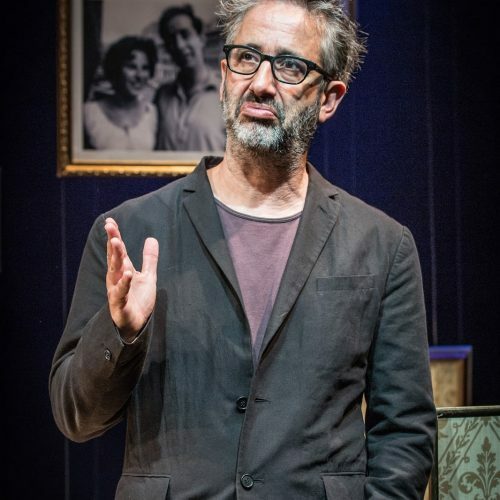 Its symptoms, we learn, include abrupt mood changes, rudeness and aggression and Baddiel relates how these have led his father to be banned from a Jewish daycare home and even caused a moment of shock at the shiva (or mourning ceremony) for his wife. 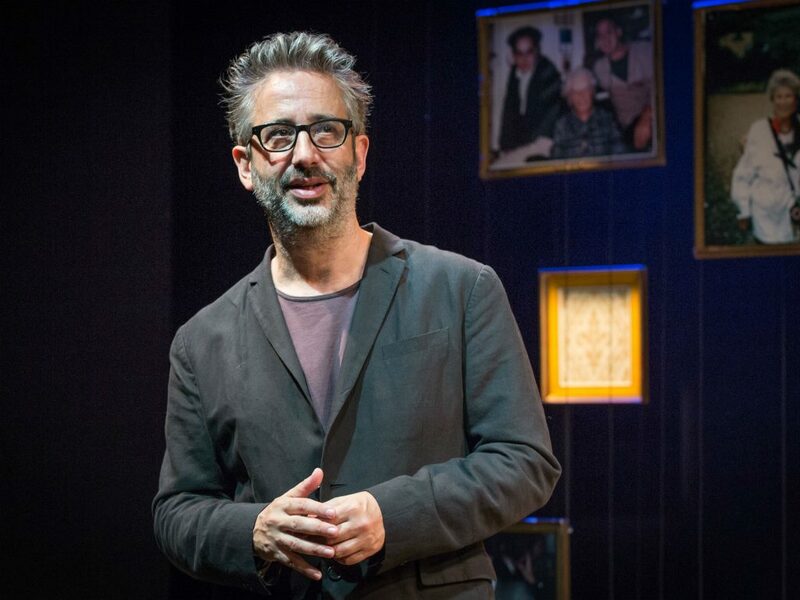 Yet, although Baddiel suggests that dementia has simply exacerbated qualities his dad already possessed, he shows enormous regard for the way a man who began life in a terraced house in Swansea ended up getting a PhD in chemistry. You also feel that, even now, Baddiel craves demonstrations of his father’s love. It’d be remiss to spoil the many stories of the show here, but it would be pretty on the money to say that the truth can often be more shocking than any manufactured joke. And a lot funnier. Baddiel sets the parameters for what he wants to talk about in place early, with some material exploring his Twitter account and its varying popularity, but then he also, cleverly, gives us permission to laugh at what he’s about to discuss. And this is his thinking behind the show: laughter is a medicine. Laughter is something that opens up subjects deemed taboo. Laughter allows us as much to chuckle at a bad gag as it does something wholly inappropriate and shocking. Baddiel has comfortably proven this by the end of My Family: Not The Sitcom. I felt moved at the end; in a way I’ve not seen comedy shows do before. 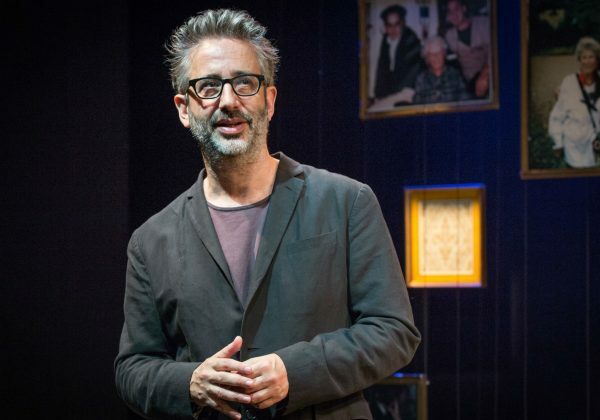 Not only is what Baddiel is doing in bringing down taboos importance; he’s managed to do so using an exceptional piece of comedy work. I dearly hope he tours the show when he completes his London run, because this is something that deserves a very, very big audience, you can understand why the show was Olivier nominated this year. My Family: Not the Sitcom opens at the Playhouse Theatre London on March 28th for a limited run until June 3rd 2017. Performances are at 8pm every day, excluding Sundays, with matinees on Wednesday and Saturday at 3pm. Tickets for My Family: Not the Sitcom at the Playhouse Theatre London are now on sale online.